One of the best charity events at the National Finals Rodeo in Las Vegas is the Bob Tallman charity bowling tournament. The bowling tournament is taking place at the Gold Coast Hotel & Casino on Saturday, December 8th. This year’s tournament is going to be the 11th edition of the tournament and the tournament has just gotten bigger and better over the past 11 years. The tournament has raised over $150,000 for Speedway Children’s Charities and the Justin Cowboy Crisis Fund. 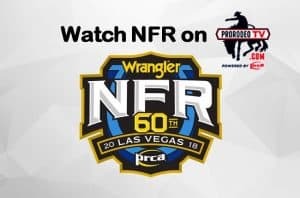 The event brings in some of the biggest names in rodeo and the entertainment industry. Chris Hardwick, Lydia Hearst and Hollywood Yates are just a few of the celebrities who have attended the event over the years. 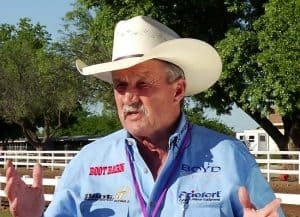 ProRodeo Hall of Famers such as Clint Corey, Gary Leffew, Don Gay, Clint Corey, Ote Berry and Byron Walker also have attended or played in the tournament since its inception. Bob Tallman is at every single tournament playing and meeting with all of the fans. Tallman had a storied career as the voice of professional rodeo and he was inducted into the Rodeo Hall of Fame in 2003. The long term goal of the charity event is to fill every single lane and give $50,000 to every single charity that is involved with the event. At the 2017 charity bowling tournament, there were 43 teams that participated and celebrity Debbe Dunning was in attendance. The tournament raised more than $12,500 for Las Vegas Chapter of Speedway Children’s Charities and the Justin Cowboy Crisis Fund. 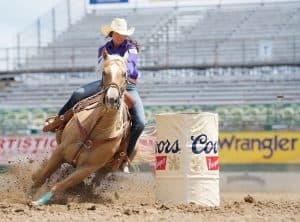 The Justin Cowboy Crisis Fund helps out PRCA cowboys that get injured and do not have a reliable source of income because they cannot compete for prize money. Tilden Hooper had to use the JCCF when he had to sit out of rodeo for more than a year after he had spinal fusion surgery. You can make your own team and sign up for the great event and get to bowl and relax with some of rodeo’s biggest stars. If you register your team before Friday, November 13th the cost is only $145 for a team of four but the price increases to $160 after that date. Teams will receive two games of bowling, shoe rental, a goodie bag, a t-shirt, pizza and drinks for each team member. You can also sign up to be an individual bowler for $40 before November 13th or $50 if you sign up after the date. If you are going to bowl make sure you save yourself some money and sign up before the deadline. The event is free for all who want to come and watch the tournament.